1. What does the Mac use to display Graphics? Mac OS X uses multiple technologies to display graphics on the desktop. * Cocoa and Carbon handle the windows, menus, and controls. * Quartz 2D and Quartz Compositor will look after 2D text and graphics rendering. * OpenGL handles 2D and 3 dimensional graphics used in games. * Metal is Mac OS' new advanced 3D graphics engine. * SDL (Simple Directmedia Layer) for cross-platform graphics development. Note that DirectX is stilll a Windows only API for graphics and not supported on MacOS. 2. What sound options can a Mac have? Most Macs now have built in sound chips for producing music and sound, they can be adequate for most users. The type of speakers you have also helps which can range from Mono (single speaker), Stereo (two speakers), 2.1 speakers (2 high, 1 bass), 5.1 speakers (Surround sound) and 7.1 speakers (surround sound with 2 more speakers). Apple supports HomePod speakers for Mac and IOS devices. Also, you can use AirPlay to share video and sound to Apple TV or some smart TVs. 3. Where can I get the Metal Software Development Kit? You can download the latest XCode system via the App Store from Apple. Information on developing applications and games using Metal is available on Apple's site. Another alternative is Unity 3D to develop games and other 3D applications. 4. What is T&L support in a graphics card? 5. What is Pixel Shader support in a graphics card? * Graphics cards and shaders. 6. My Steam games do not load after upgrading to latest MAc OS ? The OS upgrade seems to have caused some problems with Steam. 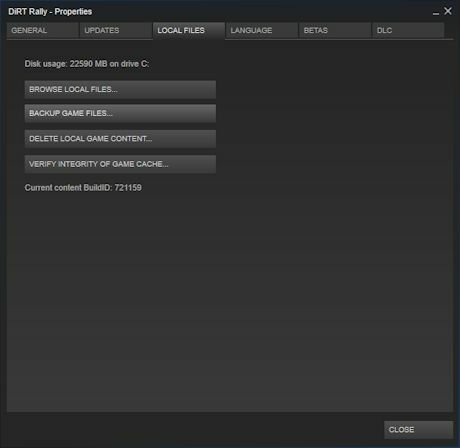 To fix this, load the Steam client, click on Library, select the game from the list and select Properties, then click on the Local Files tab and select Verify integrity of Game Cache. Once that is complete, the game should load ok again. More information is here: Steam troubleshooting.